TRAVEL journalist David Sumner-Potts gets to experience the pick of the world's locations, but every time he and wife Wendy land at Brisbane Airport and head towards Twin Waters they are happy to be home. "Travel just makes us appreciate Australia and the Sunshine Coast even more," Professor Sumner-Potts said. The couple is part of one Coast sector that is thriving - retirees. The latest State of Regions Report, produced by the Australian Local Government Association, showed the population of over 55s continues to be on the increase. In 2002 about 27.6% of the population were over the age of 55. This year the figure is about 32%. 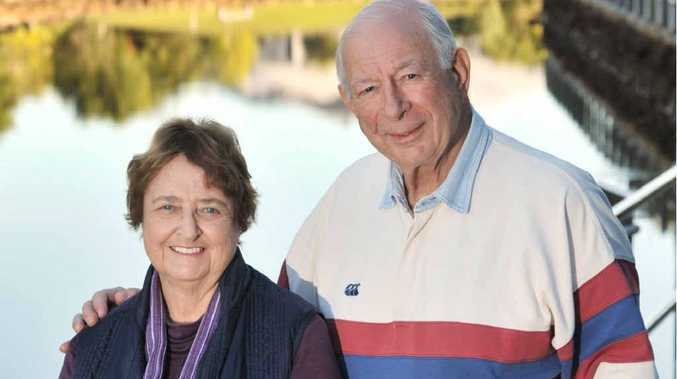 Professor Sumner-Potts, who lectured in communication at Charles Sturt University's Bathurst campus, could have picked any location in Australia to call home, but he was persuaded by his former micro-biologist wife Wendy that little could beat the Sunshine Coast. Mrs Sumner-Potts grew up on the Coast and over the years she introduced her husband to the region.